I first met Geoff while looking for a trainer for our one year old catahoula/lab mix. I specifically wanted a trainer that had a lot of gun dog experience. I found Geoff by accident and it took about 5 minutes after meeting him to know he was the right person for the job. Not only did he do an amazing job with our first dog. I was so impressed with his GWP's that I became the proud owner of Sterndog's Boggy. From the minute she hit the ground, the stories I have of her border on legend. They say only the good die young and that was certainly true of Boggy. She was the finest dog I have ever owned, and i have no doubt that she would of been a champion in her own right. She died due to freakish circumstances, it was no ones fault. The amount of support I received from Geoff and the Sterndog Kennels family was amazing and I was truly taken aback by all the support. I am truly proud and blessed to be able to call Geoff and the sterner's my friends and I cannot wait to receive my next wirehair from them. If I could figure out how to pay them a higher compliment I would. If you are looking for a GWP or training this is the place hands down! If you would like to here more about my experience, get in touch. Just don't be suprised if I go on for hours about how great Sterndog Kennels is! I have Peg Horn's Reagan, whelped December 15, 2010. I use Reagan primarily for duck hunting, but also use him on wild quail and planted birds as well. I have not lost a duck since Reagan started, even on really long retrieves(his longest was over 150 yards). Sterndog Kennels and the Sterner family produce great dogs and really good advice. They make real good friends, too. 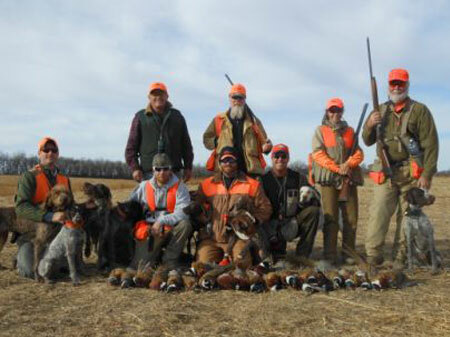 If you're in search of a high quality, companion hunting dog, then look no further! We've had our wirehair for 2.5 years and she's a great field and family dog. She's highly biddable with a strong hunting drive and quick to retrieve. She's like a sister to our 8-year old daughter. Equally important is the quality of the kennel, Sterndog makes certain their dogs go to the right owner. I explained exactly what I was looking for in personality (live in KY), and they matched my preference perfectly. They really worked with me on getting the dog from FL to KY. We continue to communicate to this day. Great people and great dogs, need I say more? I cannot say enough here about about Geoff and his family. I mainly dealt with Geoff, his immense knowledge of dogs and hunting allowed my wife and I to pick the perfect pup. He went above and beyond when we visited his kennel. I have another wire haired that was purchased in Tn VDD registry and that experience pales in comparison to what I experienced with Sterndog. I highly recommend this kennel, and would do business here again. 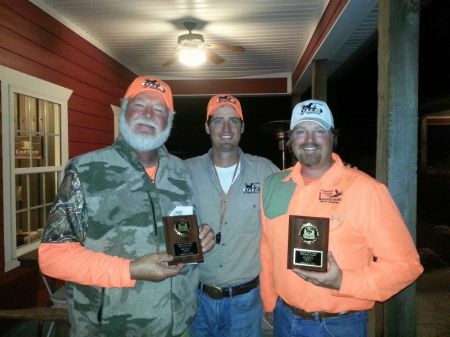 As a family, the Sterner's family have hunted the country with Wirehairs for over 25 years. Originally from Colorado. We have traveled to hunt the mid-west and south-east United States every chance we get. About 15 years ago we made our way down into Florida. This is where we developed our passion for field trialing. Since then it has been our goal to produce a German Wirehaired Pointer (GWP) that will win a national championship against all other pointing breeds in N.S.T.R.A. We have knocked on the door multiple times. It simply is not, "if" we will, but rather, "when". That is what has caused us to continue to develop some of the most athletic, driven, and stylish Wirehairs in the country.